Support the art you love by not insisting on having it free and right now. 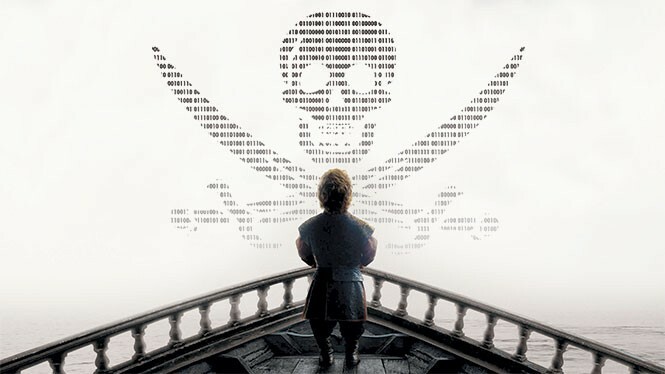 Piracy deprives the world of art, and the artist of a living. Them: "You know how I can watch Game of Thrones?" Me: "HBO has it. You can get their HBO Go subscription. It's pretty cheap." Them: "No. I mean ... like ... where can I get it?" At this point they begin winking and nudging to the point it practically turns into a Monty Python sketch. Unfortunately I'm not a, uh, Go-er. Ah? Know what I mean? This is the moment in the conversation where I will explain that I don't know where to illegally obtain movies or television shows or comic books or any other consumable geek media, because I want to support the artists and companies who make the expensive, mass-media art I want to consume. I want to do the same thing with the small-scale indie stuff, too. Why should there be a line between those artists? These conversations goes off the rails because many of the next generation of geeks (and some of this generation) feel entitled to obtain much of their entertainment for free. When you like art, what reason could you give for not supporting it? Don't you want to see more of it? Take your favorite television show, for example. Aside from the fact that they're expensive to produce, even if you want to watch for free, there is more often than not a totally legal option that will allow you to view the content you want without paying, and still allow the person who made the art to benefit. The ticket we pay for admission is called commercials. And I get it. I hate commercials, too. It's why I can't listen to the radio save for NPR anymore. But when there's no other option—or at least no other morally defensible one—there's no other option. In soliciting comment for this piece, one of the most common refrains I heard was, "If they wanted me to watch it and pay them for it without piracy, they'd make it more convenient for me." This was in reference to Game of Thrones not being available on DVD for a year after broadcast, and only available to HBO subscribers in the meantime. But it's not the job of a media producer to make its content as cheap and convenient as possible; its job is to make great content people want to pay for so that they can afford to make more. If you can't afford to pay for it the way they want you to in order to see it right now, then maybe you can just wait. That's a thing that people can do. We should not—must not—feel entitled to the labor of an artist without compensating them for it, even if that artist is part of a massive corporate machine. As someone who writes books and movies, I've been on the other side of the equation. Every sale helps, even if it might not seem like it. Amazon will re-rank your stuff with each individual sale. Netflix will keep your movie up longer and sneak it into recommendations the more people watch it. Comic books are rated based on sales every month, and the losers at the bottom aren't long for production. I can't imagine that other systems work much differently, whether that's Hulu or Barnes & Noble: If you're not selling copies or getting views or legal downloads, no one is going to invest in the next thing you want to make. That's why it's so important to treat dollars spent on entertainment as an investment—not just for your own well-being, because art at its best is designed to make us learn something about ourselves and the world around us, but as an investment in the next thing that artist wants to do. Paying for art is virtually always the right thing to do. Sure, there's a case that could be made that piracy is the only way to see things like the Star Wars: Holiday Special. At the moment, there's no way to hand over money for this important cultural artifact. Very few things any more fall into that category, though, so my advice to you is be more judicious and patient in your consumption. We could all use a more refined entertainment palate, anyway.